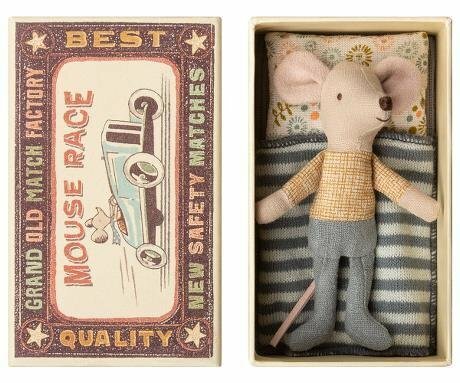 Meet Little Brother Maileg Mouse! Not many mice can flaunt cutie blue pants like Little Brother! So cool. 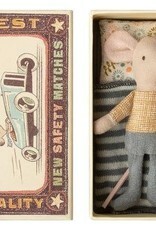 He comes complete with his very own matchbox bed and bedding.